What’s not to love about wine? You can drink it, cook with it and now you can also make delicious dessert even more flavorful! 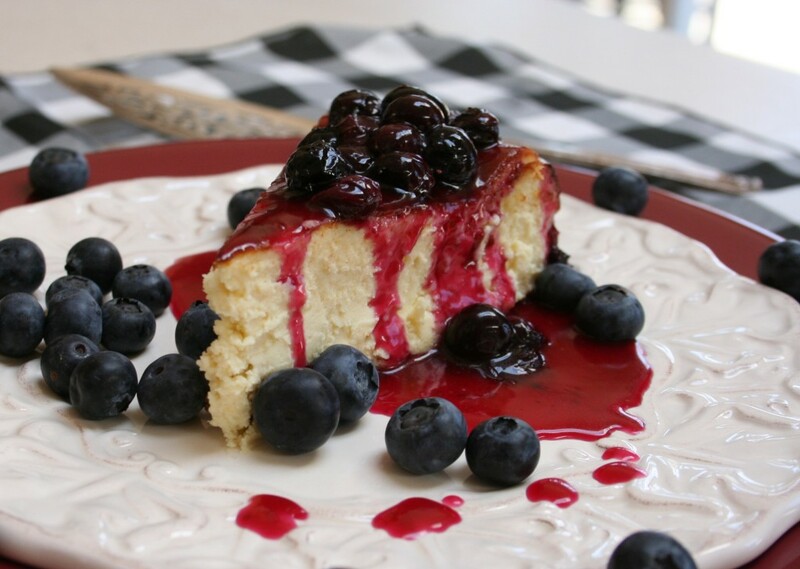 Try this Blueberry Port Cheesecake recipe for a sweet and creamy treat. Grease an 8-inch cake pan with 1 tablespoon butter. Toast the pecans on a cookie sheet for 8 minutes (turn the pan once for an even toasting). In a bowl, combine graham cracker crumbs, sugar, butter and pecans. Pat evenly over the bottom of the pan. In a small saucepan, simmer port and dried blueberries for 3 minutes, set aside to cool. On medium, beat cream cheese, butter, sugar and cornstarch, to blend. Add eggs, one at a time, then add sour cream, vanilla and blueberry port mixture. Set into hot water bath and bake for 1 hour and 15 minutes, until slightly puffed and firm. Refrigerate, then remove from pan. In a saucepan, simmer ¾ cup port and sugar for 3 minutes. Meanwhile, whisk cornstarch, vanilla and remaining ¼ cup port together. Add mixture to pan to simmer for 2 more minutes. Add half of blueberries and cook until blueberries burst and sauce thickens. Stir in remaining berries and spread over top of cooled cheesecake.